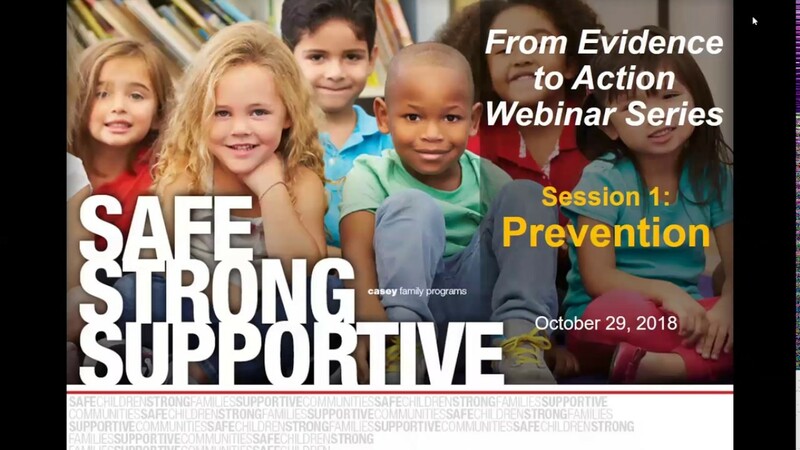 In support of and in preparation for implementation of the Family First Prevention Services Act, Casey Family Programs is hosting a two-part national webinar series: How have agencies moved from evidence to action? The webinars will detail how two jurisdictions have approached the installation and spread of evidence-based interventions. Sessions will cover key considerations, experiences and lessons learned with data-gathering and needs assessment, intervention selection, and funding, as well as implementation, evaluation and sustainability. This webinar details New York City’s Administration for Children’s Services’ introduction of 11 evidence-based and evidence-informed practice models into its continuum of preventive services. 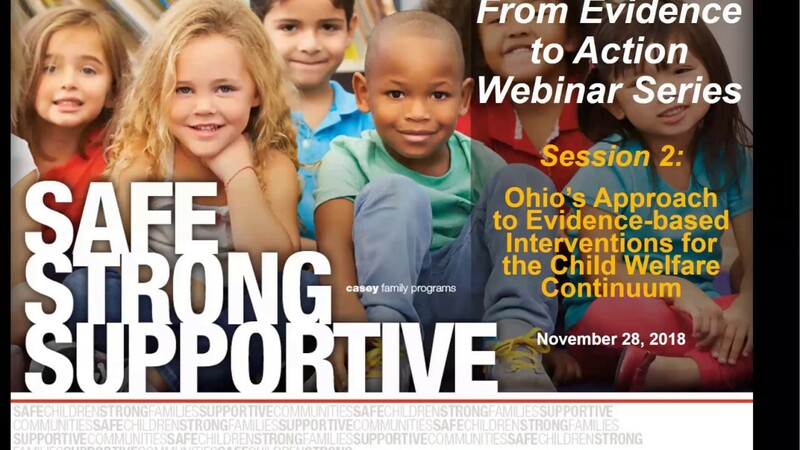 This webinar shares Ohio’s approach to evidence-based interventions to address a range of child and adult concerns, in particular mental health and substance use disorders.